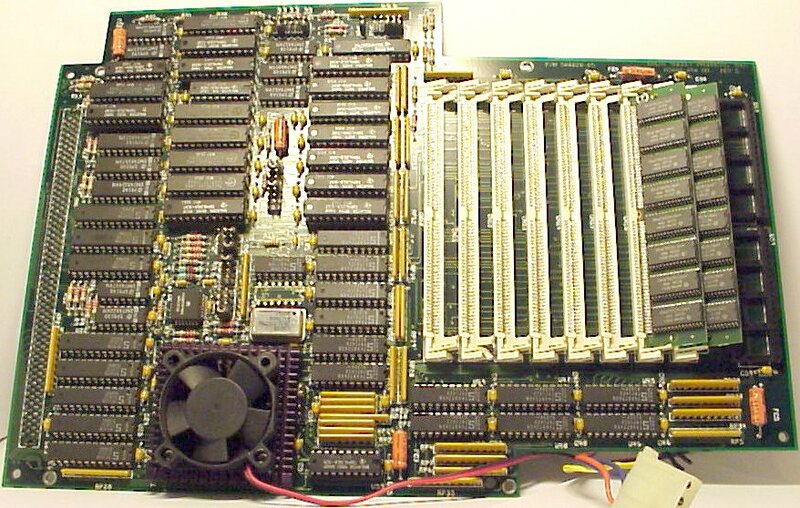 Ram Type: 8 x GVP 64pin SIMM slots. 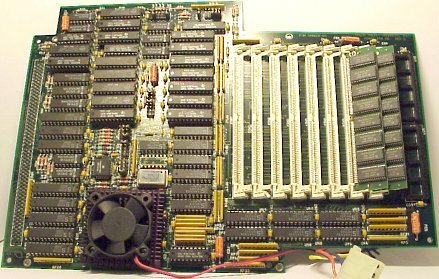 This board supports 1-8 modules of 1MB non-multiplexed 40ns GVP SIMMs. These are different than the typical custom GVP SIMM32 modules for other GVP accelerators. Burst memory access is supported with 4 or 8 modules installed. *) The 40Mhz prototype mentioned above was sitting in an A3000T at GVP back in 1993. What happend to the prototype is unknow. Page contributors: Frank Cieslewicz, Robert Miranda (GVP Tech Support), Wade McIntyre.